Bisimoto built a bonkers show car. 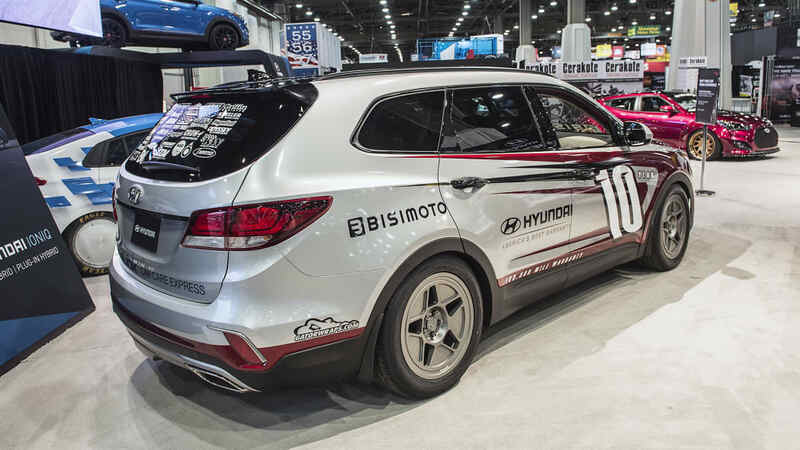 Bisimoto, working with Hyundai, will not disappoint at SEMA this year. Continuing its tradition of absurdly powerful versions of ordinary cars, the company will show off a Santa Fe with 1,040 horsepower. 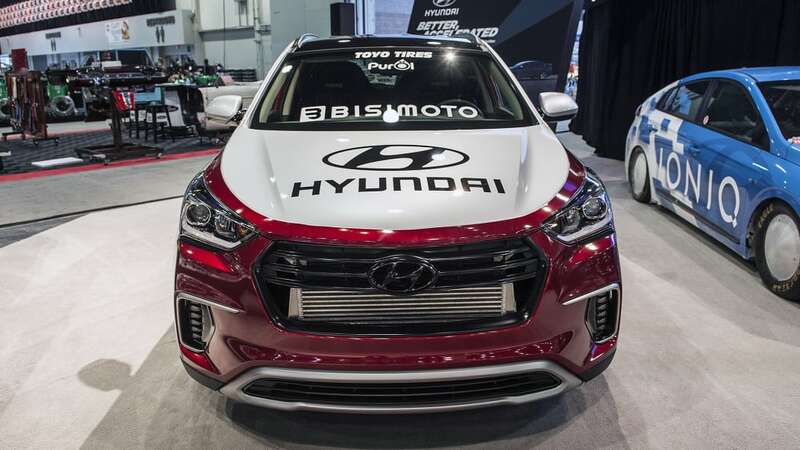 Not only that, but this crossover, named "Santa-Fast," also sends that power through a six-speed manual to the rear. To create this monstrous machine, Bisimoto started with a normal 3.8-liter Hyundai V6. The company then completely rebuilt the engine with forged pistons, stronger connecting rods and more aggressive cams. After that came a pair of Turbonetics turbochargers that can reach a peak pressure of 39 psi. That's a lot of boost, and in turn a lot of power, so the computer limits boost in certain gears to help with traction and, you know, not totally destroying the tires. 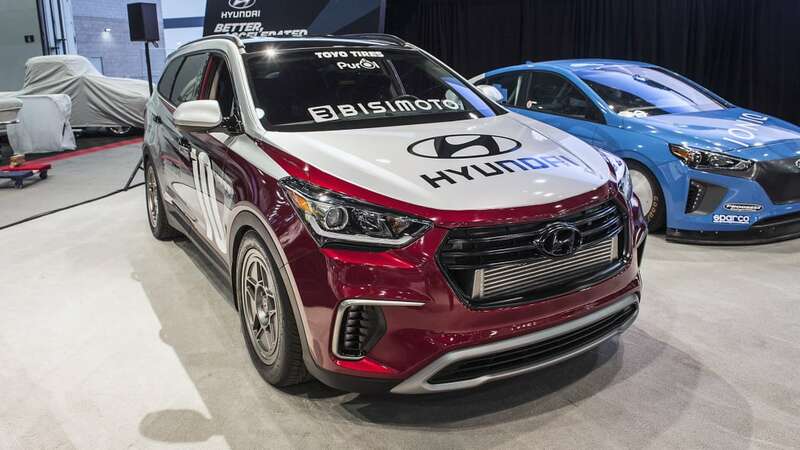 Connected to this engine is a mix of other Hyundai parts, starting with a six-speed manual transmission from a Genesis Coupe R-Spec. The power then goes back to a differential from a Hyundai Equus. This differential resides in a completely new, custom rear subframe built by Rothfab. 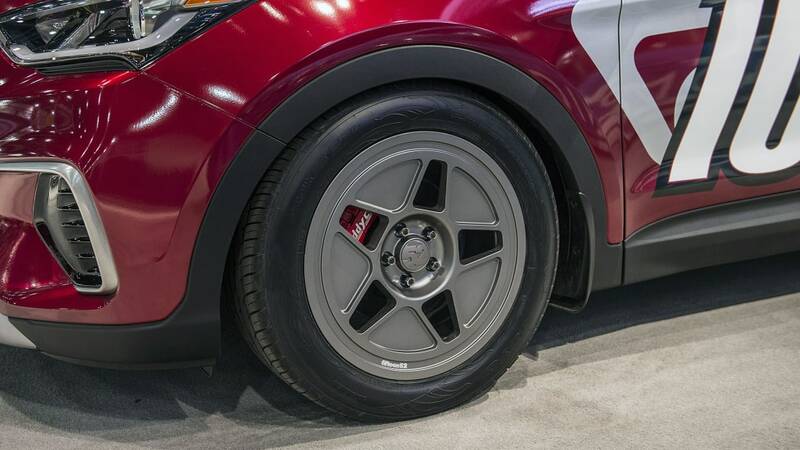 The rest of the crossover is fairly standard SEMA fare. 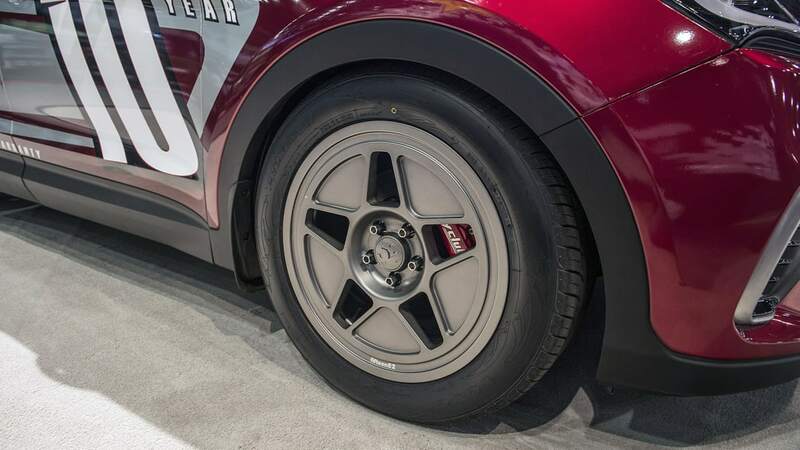 It gets a flashy livery, big Buddy Club brakes, Fifteen52 wheels, KW coil-over suspension, a roll cage and Momo racing seats. It's a solid looking package, and we can't wait to see more photos of this nutso build. 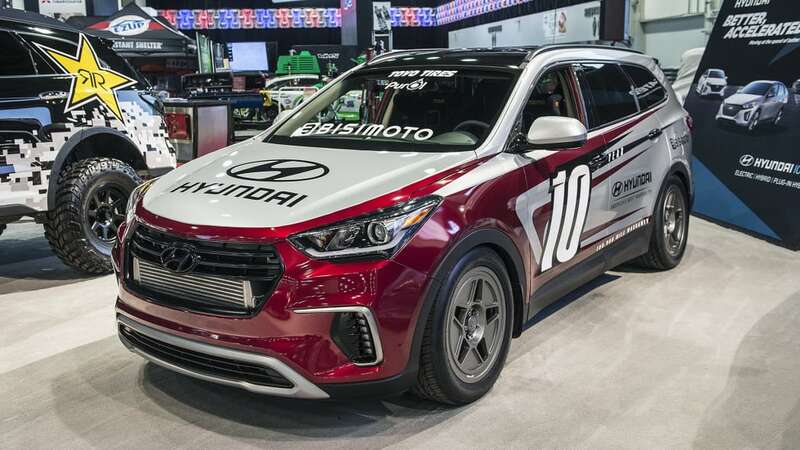 That being said, Bisimoto's other project, a Hyundai-powered 911, could give this Santa Fe a run for its money.